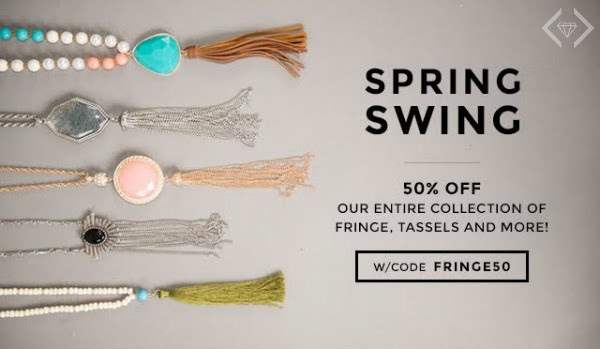 Style Steals - 2/22/16 - 50% OFF Our Entire Collection of Fringe, Tassels and more + FREE SHIPPING w/code FRINGE50. Keep an eye out for the Baylee Lace Up Moccasin Boot at for $19.97!! !, their Nellie Pendant Tassel Necklace for $7.97 & Brandon Beaded Tassel Necklace for $11.97. Style Steals - 2/22/16 - 50% OFF our entire collection of fringe, tassels and more + FREE SHIPPING w/code FRINGE50. Try a fringed, tassel necklace. Accessories like this one make it easy to tone down an extreme trend from the runway and incorporate it into your every day look. 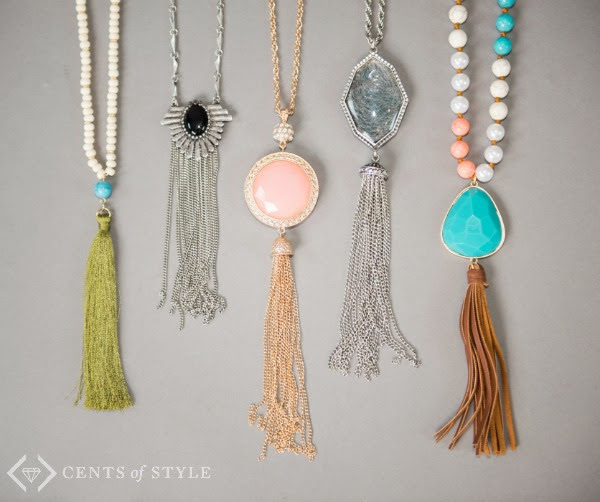 Take a look at some other fringe/tassel necklaces so you can bring the trend into your closet. Whether you choose metal, suede, leather, or cloth, these fun necklaces will have you feeling trendy and beautiful.